The rock is called Manhattan schist [source]. This kind of rock is formed in glaciers. The correlation being Manhattan is that it was formed by glacial conditions and the Hudson River is actually a fjord. To get an idea of what this means think shear cliffs on the water in places like New Zealand [source], only with higher water levels. Because of the schist, Manhattan Island is strong enough to support the skyscrapers which are now synonymous with the city; the weight of these structures is no object when placed on such a solid foundation. Today, glass and other additives are in some of the sidewalks. 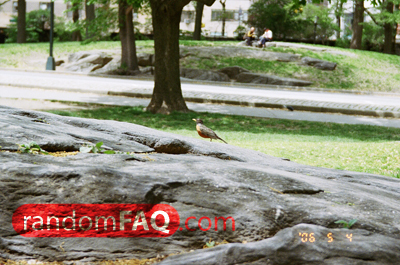 Many examples of the Manhattan schist can be seen exposed in Central Park.